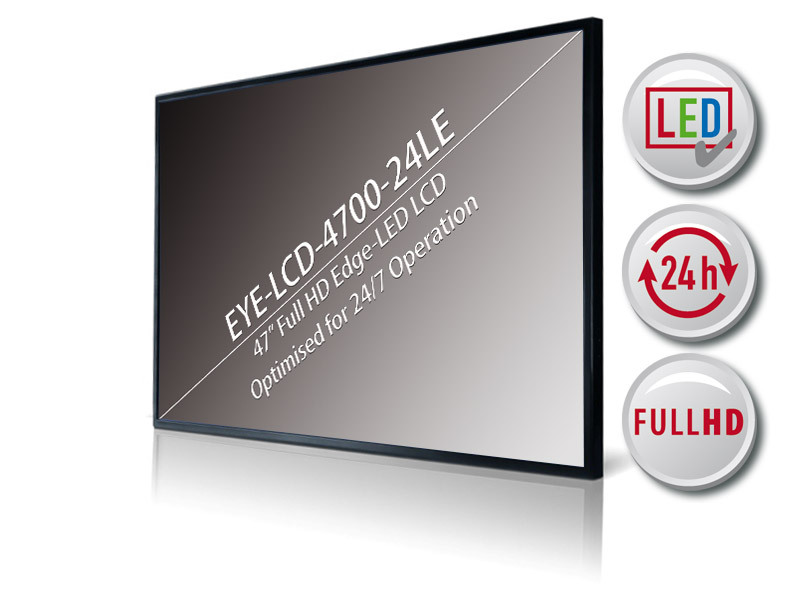 With the LCD monitors type EYE-LCD-4200-24-LE and EYE-LCD-4700-24-LE, eyevis provides a revolutionary technology for TFT-LCD-based monitors. 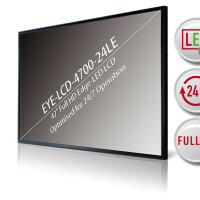 The displays come with a screen diagonal of 42″ or 47″ and offer best image quality, high resolution, narrow bezels and unique operability in 24/7 applications.eyevis implemented numerous optimised features to prevent so called “Image Sticking” effects which are likely to occur on other LCD monitors, especially when static content is displayed over prolonged time. 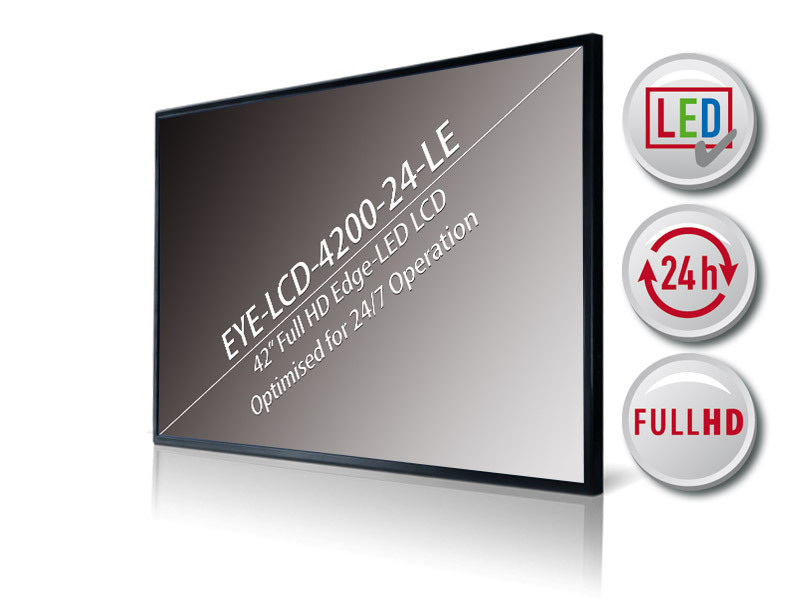 Of course, the displays share the ultra-thin and slim design typical for TFT-LCD displays. 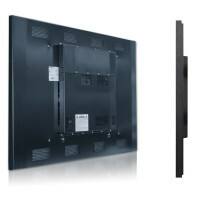 This allows their flexible installation in almost every area of application. 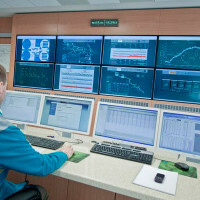 Whether you want to display video signals or computer signals, any kind of data can be displayed on the displays. 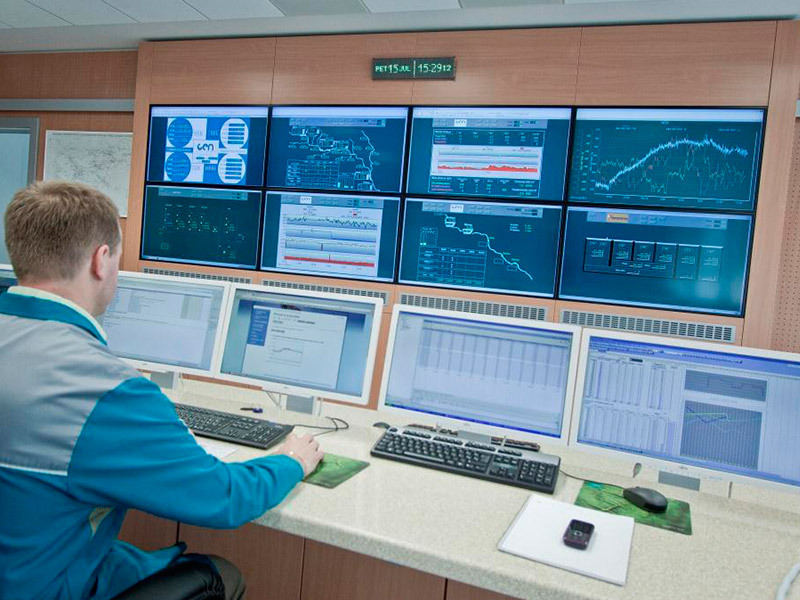 In combination with the eyevis netpix controller and the eyecon software a medium for representation and information can be created that perfectly fits smaller control rooms in which the space-factor is a main criteria. In addition to that, you will attract more attention than before with your presentations, since these displays are the ideal medium to transport your company’s message. Pixel Shifting Function preventing image sticking. 24 / 7 / 365 Continuous Operation Industrial solutions guaranteeing reliability, durability, an extremely low failure ratio and thus a reduced cost of ownership. Ambient Light Control Automatic panel brightness adjustment depending on ambient light conditions ensures best image quality, enhanced product lifetime and optimised power consumption. Direct Digital Interface Direct addressing of each pixel guarantees an excellent image performance – vibrant and absolutely flicker-free – as well as efficient display control. Display Performance Monitoring A special sensor integrated in the front bezel continuously monitors the TFT panel’s function (backlight, inverter, power supply and interface). Any malfunction is immediately detected. This feature simplifies maintenance and proofs the net uptime of the display unit in the field. 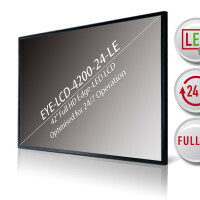 Dynamic Pixel Refreshing A special system driving the TFT cells avoids image sticking and increases display lifetime. 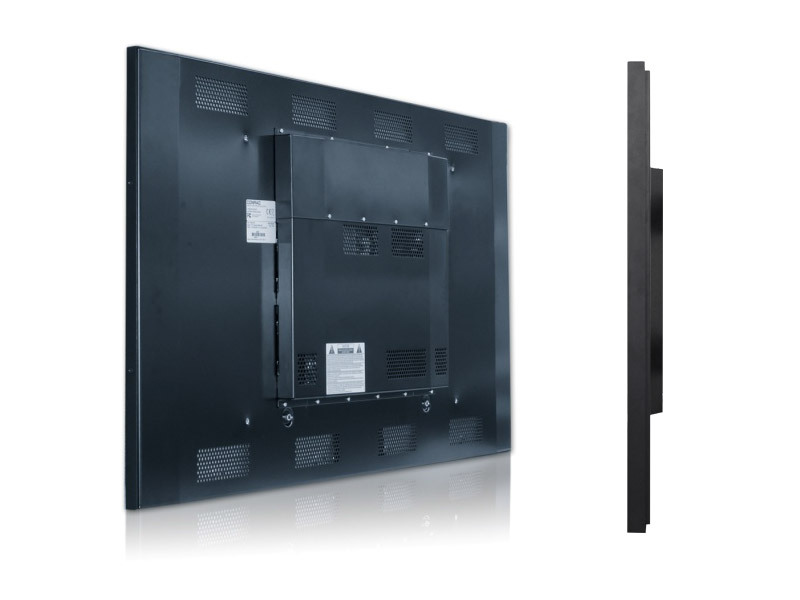 Eco-friendly products Driven by LED technology, the large screen displays feature a considerably lower energy consumption than conventional LCD/TFT displays, cutting the operational costs while protecting the environment. Portrait & Landscape format Designed for portrait and landscape mode to guarantee highest flexibility for all applications.